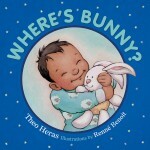 Home > Books > Where’s Bunny? The endearing siblings of Theo Heras’ and Renné Benoit’s Hat On, Hat Off and Baby Cakes return once more in a sweet celebration of bedtime. 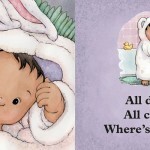 Humour, helpfulness, and heart combine as Baby’s big sister helps to see him—and, of course, his stuffed bunny—through the nighttime routine from bath to bed. 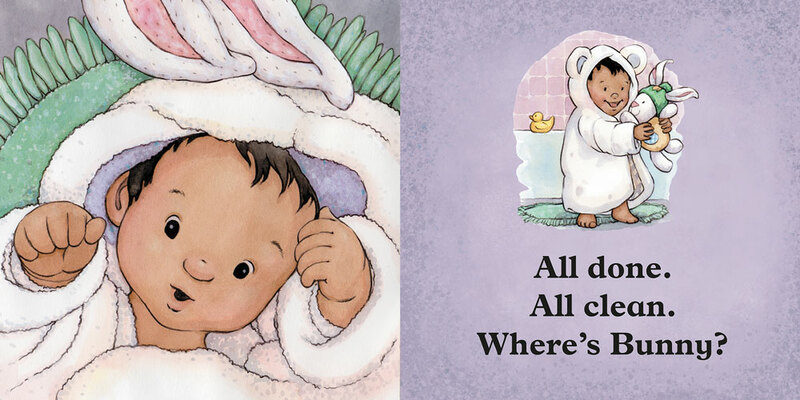 Little listeners will connect with familiar sensory language of warm, tickly water and blanket snuggles, and they will be able to enjoy it time and again in this study-format book with a padded cover, rounded corners, and extra-heavy paper. Preschoolers can chime in with Theo Heras’ brief, descriptive text, and Renné Benoit’s watercolour and digital art, full of big baby faces and warm pastel colours. Where’s Bunny? 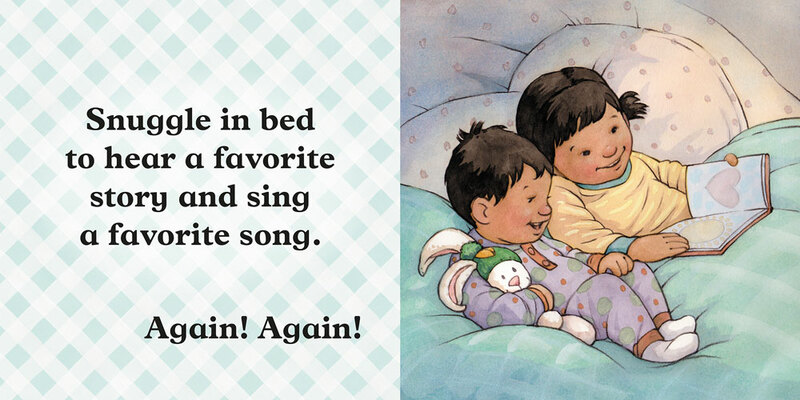 will make bedtime a happy time for the whole family.